Just over a week for the James Blunt Live in Concert. 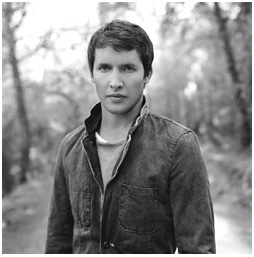 British singer and songwriter James Blunt will be performing in Malta on the 7th April 2011 at the Valletta Waterfront. Take advantage of our LATEST APRIL OFFER and stay close to the Concert Venue! 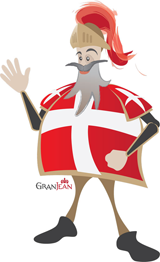 For 3 Nights and Over kindly check Our Special Malta Deals. James Blunt is best known for a string of popular ballads and for his striking voice. His smash hit ‘You’re Beautiful’ set the platinum standard for edgeless adult pop. His latest tour, promoting the new album, ‘Some Kind of Trouble’, features the single ‘Stay the Night’. Blunt has received numerous awards and accolades, including two Brit Awards, two World Music Awards, two MTV Video Music Awards, an MTV European Music Award and five Grammy nominations. Concert Tickets starting from €35 are available from NNG Promotions. For more information about the Best Available Rates for your Accommodation in Malta kindly check out the official website of this Luxury Malta Hotel. This entry was posted in Accommodation Malta, Luxury Malta Hotel on March 30, 2011 by admin. Take advantage of this Limited Springtime Offer at a top Luxury Malta Hotel. For stay dates during April book a Deluxe Room on Bed and Breakfast Basis & get a FREE Room Upgrade to a Deluxe Sea View Room! Offer is valid when Booking through Our Hotel Website. And if you stay for three nights you get a discount of 10% or 15% if you stay 4 nights and over! Kindly note that this offer is limited and thus can be withdrawn at any time. Offer is only available for stay dates in April and not extending into May. Above offer is on Bed and Breakfast Basis. Kindly note that other rates apply should a client opt for an earlier departure than otherwise booked with the above mentioned offer. This entry was posted in City Breaks Malta, Luxury Malta Hotel on March 28, 2011 by admin. Fatboy Slim will be performing in Malta on the 30th April 2011, the eve of a National Public Holiday. The concert will be staged at the MFCC in Ta’ Qali. OFFER ENDS ON THE 8th APRIL 2011. BOOK NOW! Should you wish to stay for any additional nights kindly contact Our Reservations Team at the Grand Hotel Excelsior Malta. This entry was posted in Excelsior Hotel Malta, Malta Events on March 25, 2011 by admin.